Four Dark Tales. Four Sensual Stories. Four Page Turners. NEED YOU NOW: A Shattered Promises Series Prelude by Lisa Renee Jones: Life is hard. Life leaves you beaten, broken…alone. Then one day, a stranger touches your hand and you feel something intense, unforgettable…but you want to forget. You need to forget. It’s safer than believing in things you’ve decided don’t exist. You know shattered promises and lost hope. You know them so much better than you know this excited, warm, wonderful feeling, and it scares you. He scares you, but he also makes you feel alive again. 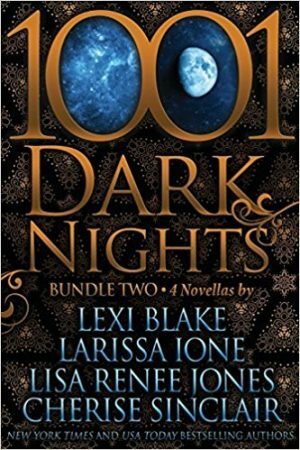 Order 1001 Dark Nights: Bundle Two - Story # 2 in the 1001 Dark Nights series.